Something I particularly love about the month of June is the celebration of pride! Of course, pride is something to be celebrated year round but it is very inspirational in June to see so many friends and family doing rainbow overlays on their profile pictures, seeing community pride celebrations. It really goes to show you how amazing the support and community is! 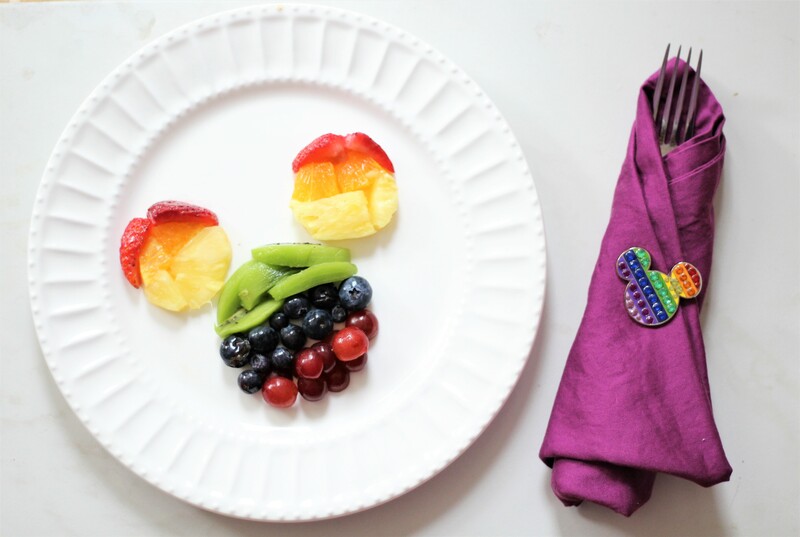 To celebrate on The Healthy Mouse, I made a rainbow Mickey fruit salad inspired by the Mickey rainbow pride pin sold at Disney Parks. To help me assemble the perfect Mickey Mouse shape, I liked to place my fruits inside the circles of cookie cutters. Once I place the fruit, I then remove the cookie cutters. Enjoy this colorful and healthy treat!